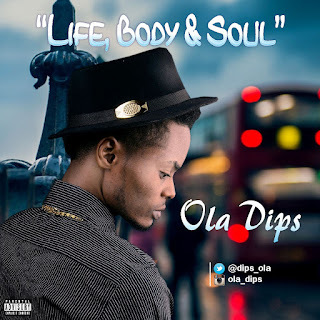 Oladipupo Olabode Oladimeji Popularly known as Ola Dips a.k.a. Omo Iya Aje is here again with a new hit single Titled " Life,Body And Soul ". His music is gaining serious mass appeal and his rap style is being enjoyed by many. It is safe to say, the streets love him and he indeed loves them in return.